“Dance Across the USA” is an amazing coffee table size book that is filled with breathtaking photographs displayed in a simple graphic format. All 50 states are represented in this photographic compilation of dance meets environment. The book begins with a map of the route photographer Jonathan Givens travelled when he documented dancers amidst various landscapes of America. Beginning in south Florida, the project involves 22,264 miles of driving and 8,436 miles of flying over a period of just 90 days! Each state’s photo spread is labeled with a specific date, location, the names/ages of its dancers and a running total of miles that The Mighty Buford, or the Nissan cargo van, made on its journey across the country. Jonathan Given’s introduction shares information on the premise behind his book. Here, the author covers the details involved in the planning of this immense project and describes the process for choosing the specific places, dancers and photographic techniques. Speaking of photographic techniques, you would swear that these dancers were photo shopped into their landscapes. However, the author testifies that the shots are truly authentic. Most locations were carefully chosen to highlight the form of dance in relation to the majesty of our nation’s most inspirational environments. 163 dancers of all ages, shapes and levels of experience were selected for the spotlight in America’s most prestigious parks, preserves, parkways, forests, memorials, monuments, tribal lands, rivers, lakes, seashores and other recreational areas. Another interesting section within the book includes How We Did It, a post project summary of the extraordinary events and the equipment involved in the production. From camera technicalities to camping essentials, Givens recapitulates the nuances of his journey. As a former dancer and artist, I was immediately drawn to this book. 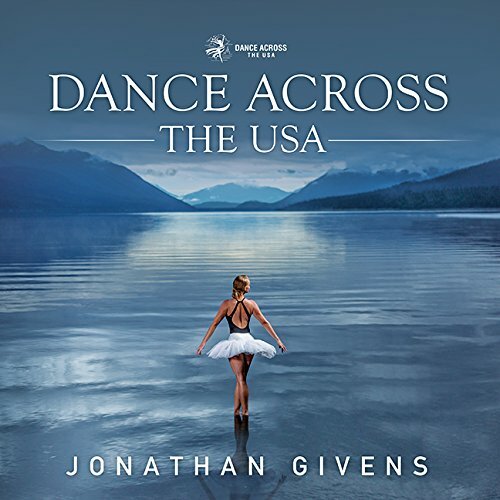 While I appreciate the beauty in the juxtaposition of nature (or, in some cases, historical environments) with the world of dance, I soon came to realize that Jonathan’s masterpiece is much more than a display of photographs. It is also a travel log, a registry of historical sites, and a dedication to our national parks and other prominent locations. Each photo shoot includes written text that details the specific context of the setting, highlighting its best features for readers.